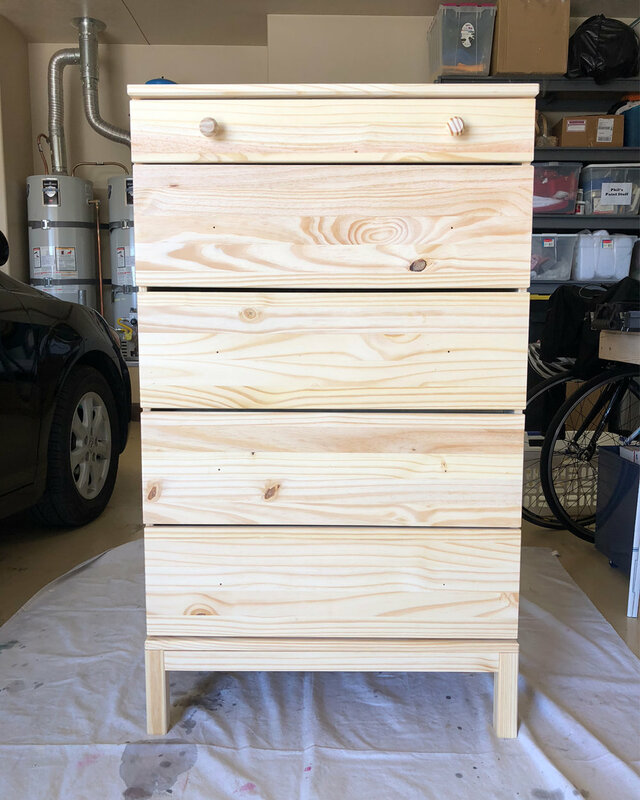 When my daughter was expecting her first little girl four years ago, we painted a dresser/changing station in what I thought would be the perfect blue to last through baby girls AND boys. It was…back then. Due to dramatic changes in styles and tastes, the nursery is getting a total makeover in preparation for our first grandson. 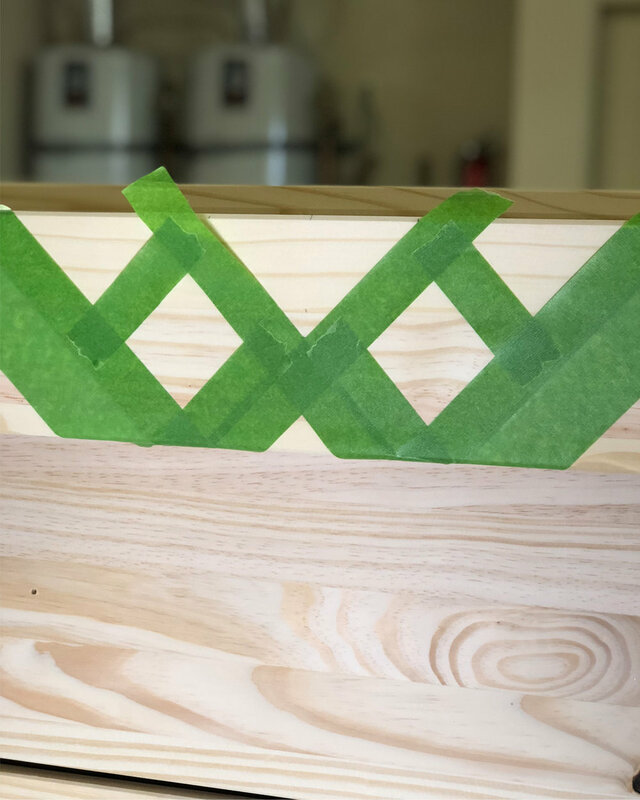 After the top drawer was taped and painted, we quickly realized we needed to be more strategic, so we spent FOREVER measuring and taping off a pattern that would be symmetrical from side-to-side as well as top-to-bottom. It turns out my brain just doesn’t like to think in Aztec patterns! 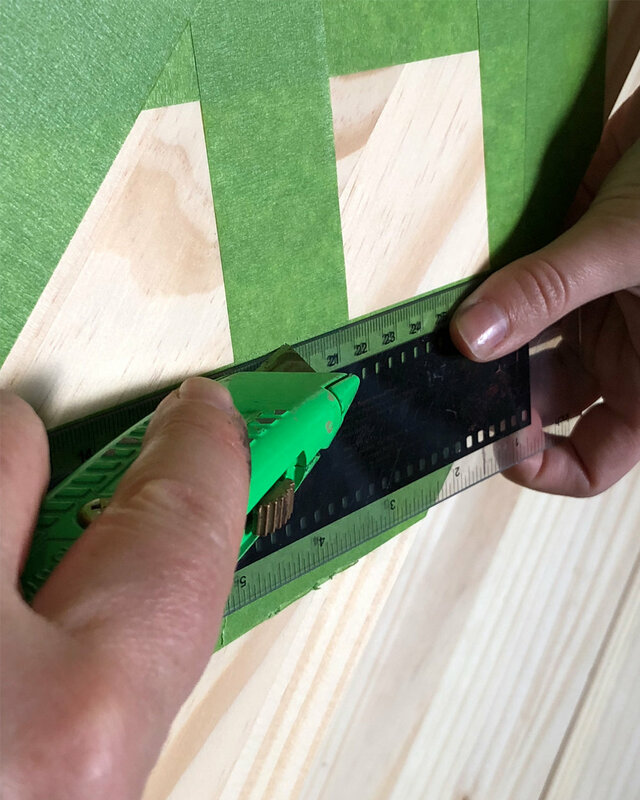 We found it was easiest to tape the pattern, then use a razor to cut away tape from any areas that needed to be painted. 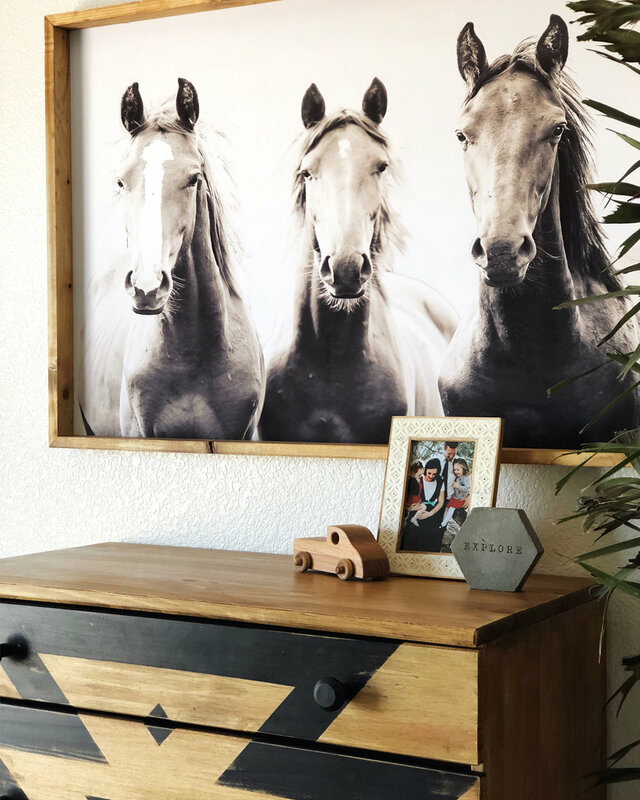 We mixed our own chalk paint using BB Frösch Chalk Paint Powder and black paint from Benjamin Moore because we wanted the paint to bond without priming, and we also wanted to be able to distress the paint. With the paint mixed and the dresser taped off, we used a specialty brush to dab the paint on—one drawer at a time. To keep the paint from bleeding under a stencil or taped-off areas, always dab paint on as opposed to brushing. Although the Frog tape didn’t initially want to stick to the raw wood of the dresser very well, it definitely helped keep the paint from bleeding. Once the tape was removed and the paint was dry, I sanded to distress. I started distressing by hand, then I switched to a palm sander to make the process go a little faster. …so we re-painted the top drawer, which involved sanding a small part of the original random pattern off and taping a new line. Because we used chalk paint that hadn’t been sealed, this was an easy fix. 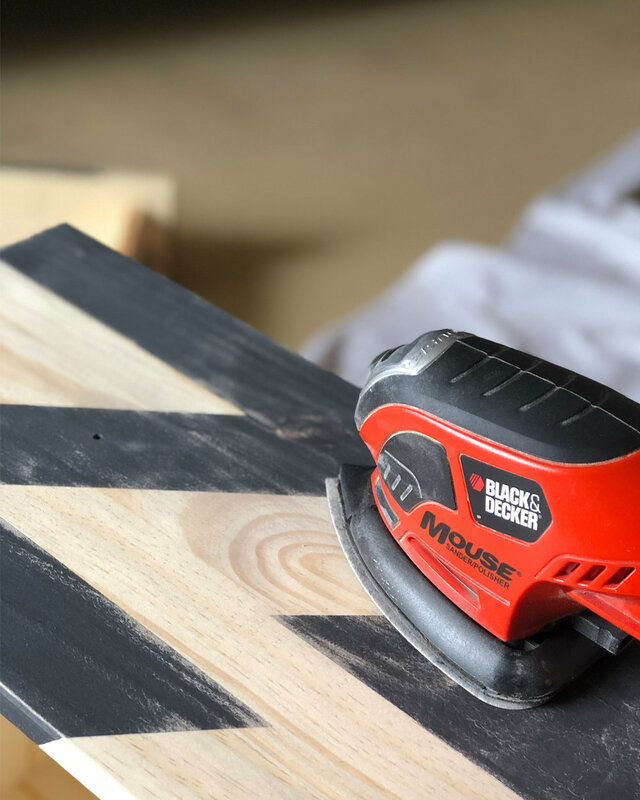 This next step is when the dresser really started to come alive! 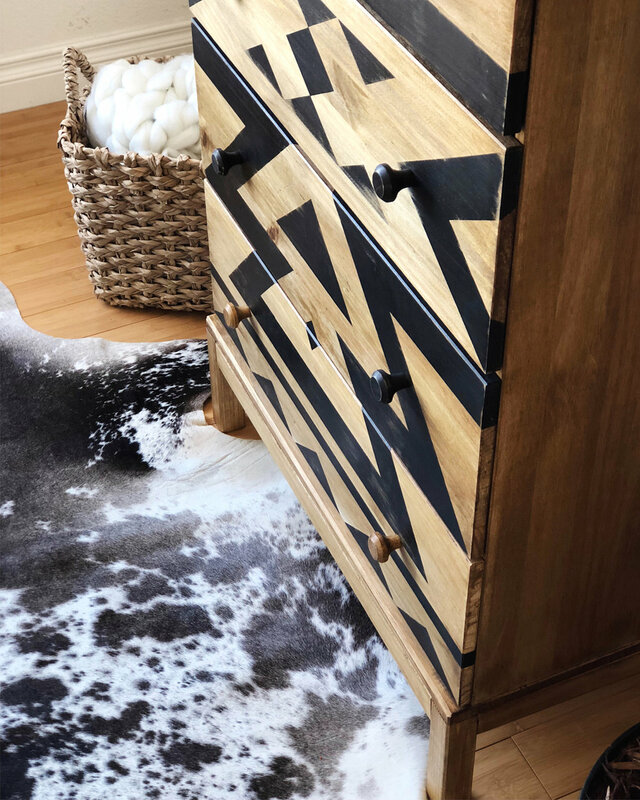 We used BB Frösch Dark Premium Finishing Wax over the whole dresser, and I LOOOOOVE the way the dark wax made the raw pine look! 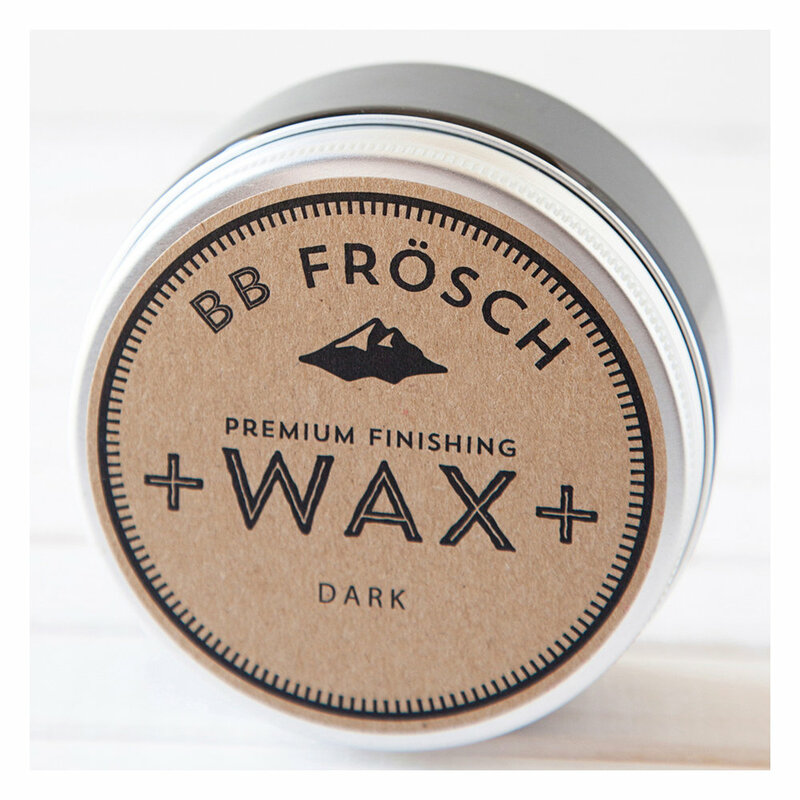 I love that BB Frösch Wax can be used on raw wood as well as painted wood. The wax dried and cured in minutes (another reason BB Frösch Wax is my favorite) so we were able to get the dresser set up in the nursery right away. Now all we need is a baby! If there ever was a rug worthy of having an entire nursery designed around it, THIS is it!